ECCIL’s members benefit not only from access to a wide field of legal and economic information, preferential prices for our services and from our advocacy work but they also receive special discount packages from our membership programme. 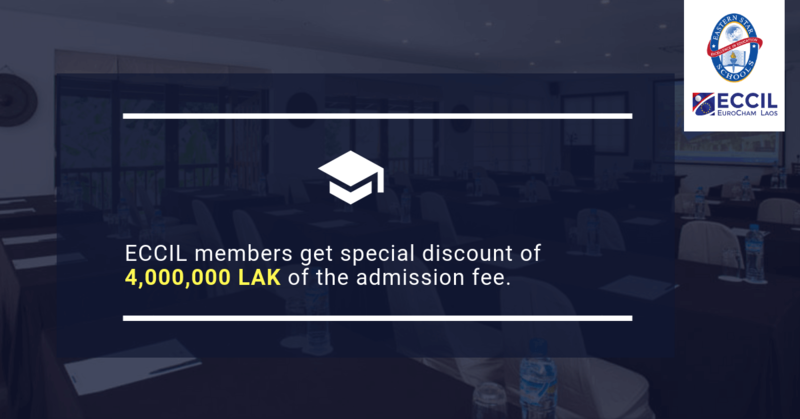 Learn more about our membership programme below. Come back regularly to discover new elements added to the list. Please note: All privileges listed are for all types of ECCIL membership except for Junior members. It will be necessary to show your ECCIL membership card when taking advantage of one of these special offers. This member is waving the admission fee of 4,000,000 LAK to all ECCIL members. Eastern Star International School at Vientiane Capital provides a rare primary and secondary academic experience. As a registered Cambridge school offering IGCSE and projected to have A Level programmes, Eastern Star helps learners develop a passion for knowledge while giving them the opportunity to earn a high-quality internationally recognised education. The Riverside Boutique Resort is a luxury hotel located in the bank of the Nam Song River in Vang Vieng, Laos. It is laid out around one of the most inviting swimming pools to be found in Laos, and offers stunning views of the surrounding forest-clad limestone mountains. 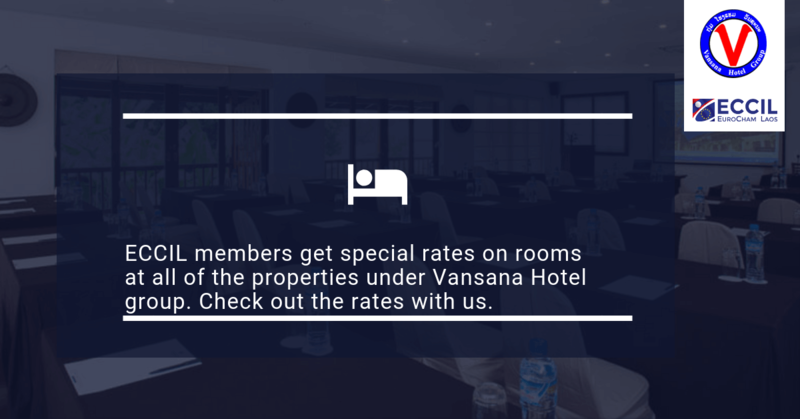 Vansana Hotel Group offers special room rates for ECCIL members to enjoy at all of their properties including Vansana Riverside Hotel (VRH), Vansana Luang Prabang Hotel (VLH), Vansana Nam Ngum Resort (VNR), Vansana Vang Vieng Hotel (VVH), Vansana Vientiane (VHG) and Vansana Plain of Jar Hotel (VPH). 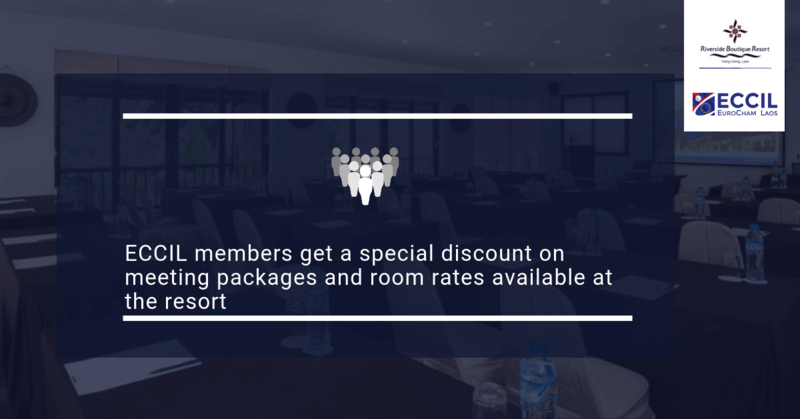 Please see the document below on room discounts. 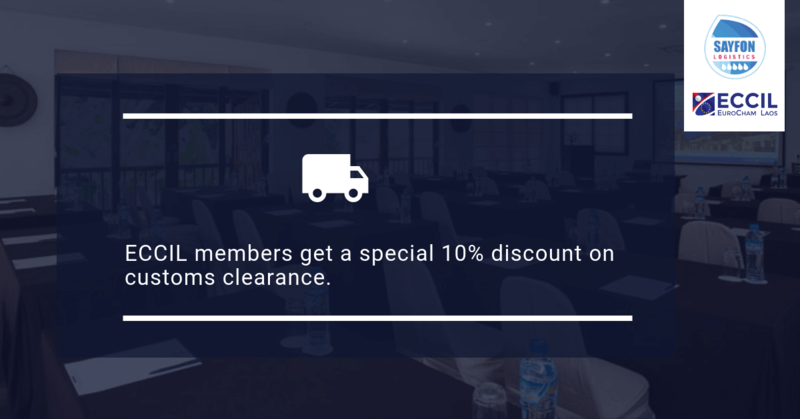 Sayfon Logistics offers ECCIL members a 10% discount on customs clearance. Sayfon Logistics is a Lao freight forwarder (transport) and moving company. Specialized in all areas of transportation and logistics, SAYFON Logistics provides customized solutions for Domestic & International Removal-Relocation Services, Worldwide.